Online courses have been gaining popularity because of the convenience they offer to avid learners. Imagine being able to take a certain course that is not being offered in your current location. An online course makes it possible for you to take this course without having to endure long commutes or a relocation. 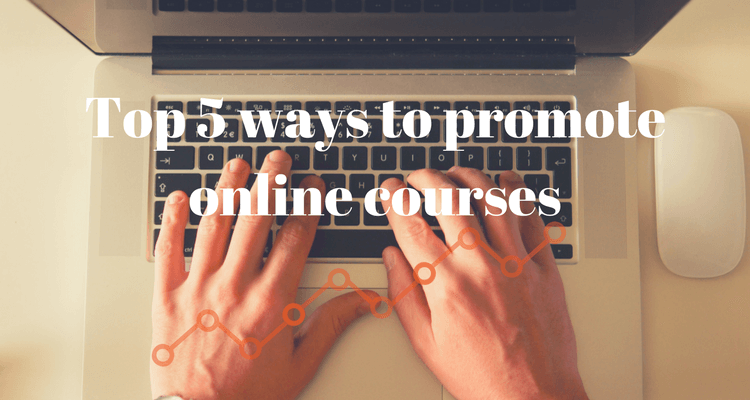 For anyone who is considering developing an online course, this is definitely encouraged. The market is there, and there is great potential for income. However, do take note that creating an online course will not magically pull students in. There will be some work needed if you want your target audience to start noticing you and signing up for those courses. Here are a few ways to help you promote and sell them. It is important to build trust and credibility, and one good way to do this is by cultivating relationships in online communities. There are several social media platforms where you can engage with others, such as Facebook, LinkedIn, Reddit, Quora, and Growth Hackers. Like and share articles, post a question or an answer to one, and join a group. Soon enough, your target niche will be noticing you and your brand and signing up for your online courses. Videos are a powerful medium for attracting people who would be interested in what you are teaching online, which is probably why YouTube is the second largest search engine. Upload short videos that introduce yourself and your online courses as well as those that offer practical tips and updates about your industry. Don’t forget to optimize your videos by adding your target keyword in the title and also add a link to your online course in the description. Research on what learners are looking for and what your competitors are promoting. Identify the keywords that your target market is using when searching for online courses, and those that your competitors are using and promoting through social media. Buzzsumo is a great tool for determining what your competitors are promoting as well as what social channel most prominently promotes content related to keywords related to your e-learning course. Who doesn’t love a good discount? Don’t be afraid to give a nice introductory sale price because this may lead to succeeding purchases of your other online courses. Plus, people usually share things that they are excited about, great bargains included, so this is actually a good way to spread the word about your e-learning classes. Allocate one or two hours each week to connect with your site visitors in a webinar. There are several tools you can use for this, such as Google Hangout and Skype. Webinars are a great way to interact with your followers and strengthen your credibility.